Comments: This plant is noted for its striking foliage that features strongly accented cream-colored veins in the leaves. It is reported to be somewhat difficult to grow a handsome specimen like is featured in the image above. 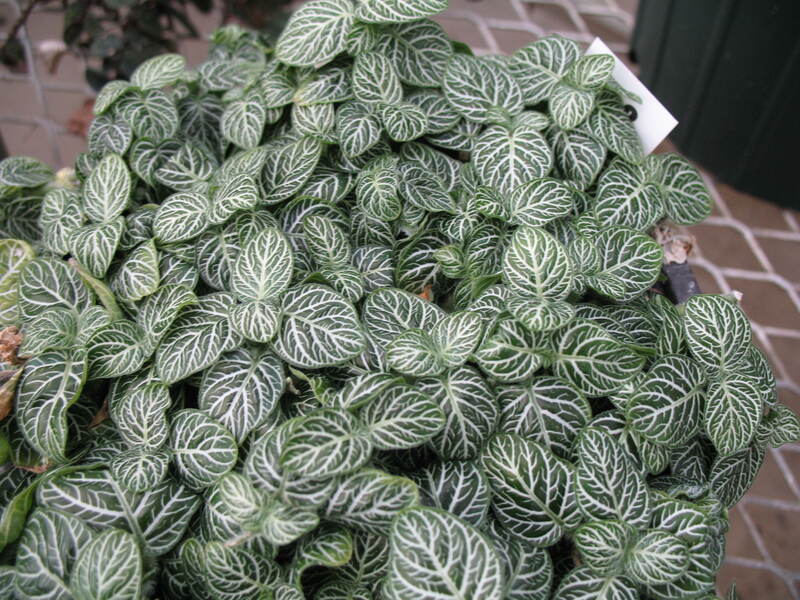 It prefers indirect light and evenly moist soil. If left to dry out it is reported that the plant "faints" but can be revived if given water again. Use a commercial potting soil, provide morning sunlight and protection from the hot noonday sun. This tropical makes a beautiful hanging basket where the foliage can be allowed to trail over the sides of the container. It cannot tolerate freezing temperatures.